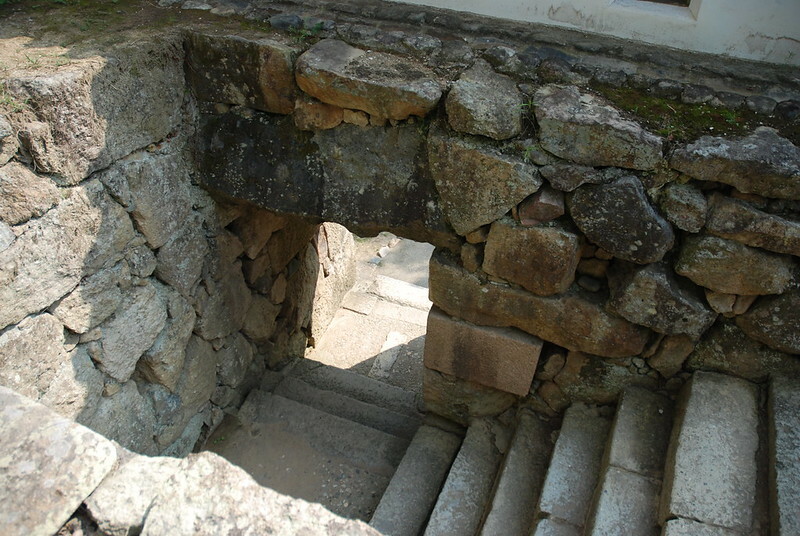 This gate is built in the stone walls away from the regular passageway and it's like a tunnel. 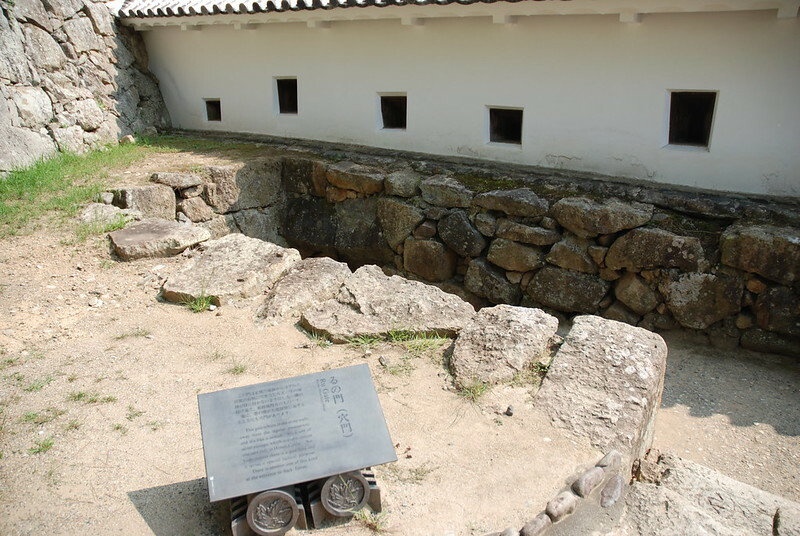 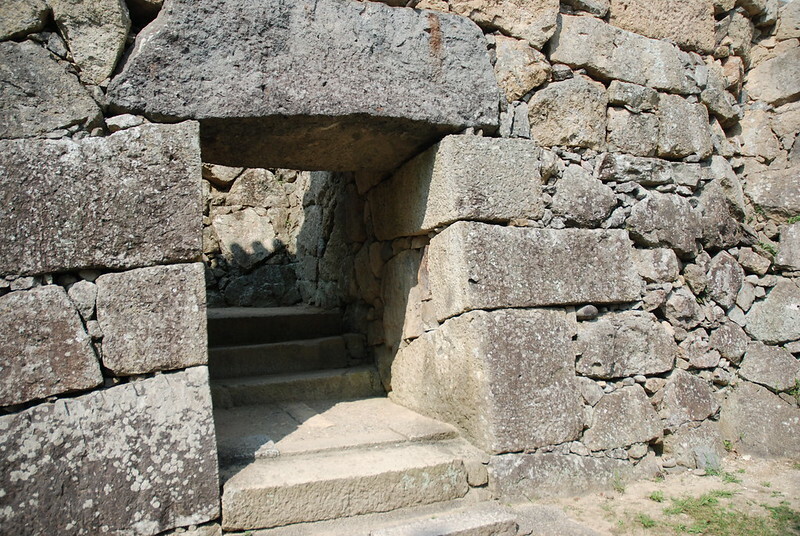 It's a sort of secret passage, which is a very unique one seen only in Himeji Castle. 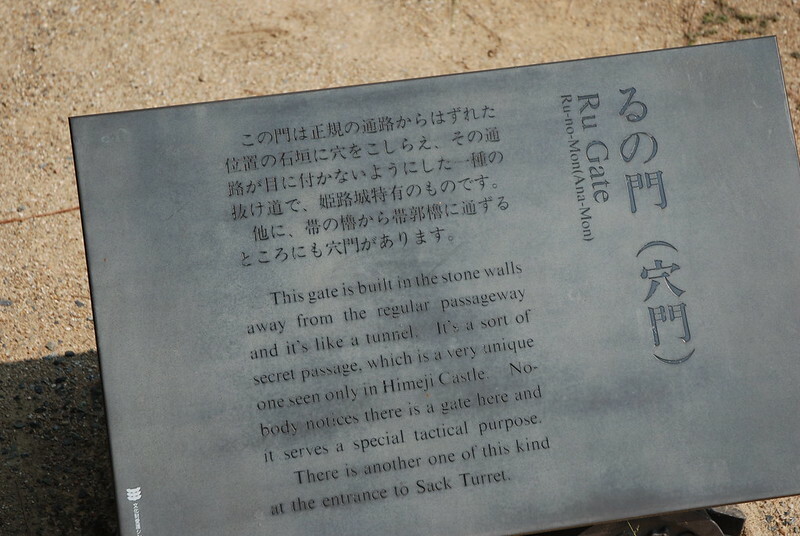 Nobody notices there is a gate here and it serves a special tactical purpose. 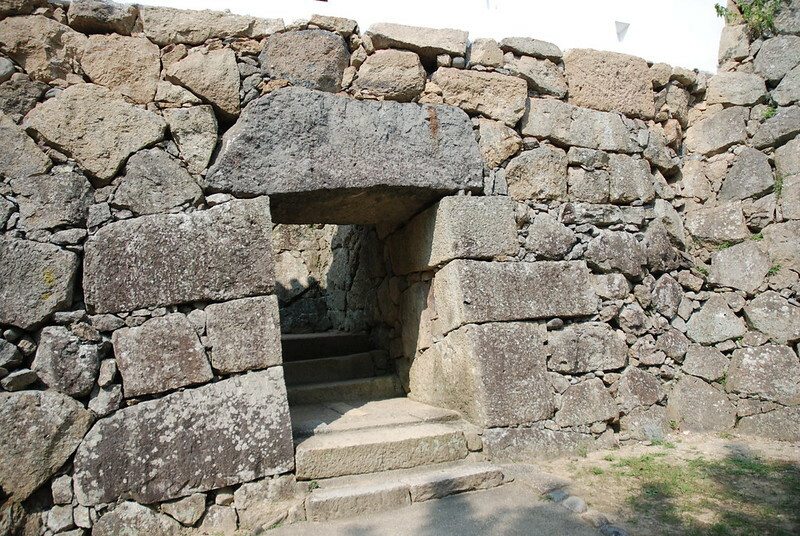 There is another one of this kind at the entrance to Sack Turret.